The low riding design of their Hamburg collection is rather sporty looking and can clearly pack a lot at just a glance. 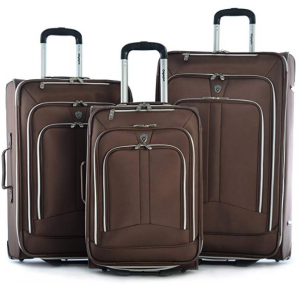 This Olympia Luggage set includes a 22-inch carry-on suitcase, 25-inch medium checked suitcase, and a 30-inch large; all are specifically expandable and offer more room than almost all expanding suitcases on the market. For instance, classic zippered expansion sets like Lucas Luggage’s Ultra Lightweight 3-Piece Expanders feature a design which only expands up to an additional 2 inches (for 15% more packing space). Olympia’s Hamburg collection, on the other hand, has been innovated with smart blended materials and an intuitive construction for up to 25% more packing space when expanded. Other unique elements include in-line skate wheels for handling any packed weight with hassle-free wheeling in any hard climate, along with an extremely compact frame which is designed to distribute weight and motion evenly as you’re wheeling along.  Visually these suitcases offer an athletic flexible look which is bold but not overstated, great for all kinds of travel be it business or pleasure. 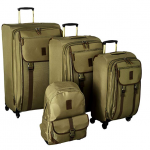 These aren’t necessarily your average stacking suitcases as their width sizes are fairly similar and their extended lengths along with expendability allow you to pack more; for stackable Olympia luggage sets you should definitely consider this brands hardshell options like their Apache Collection 3-Piece Spinner Set. Although it’s worth noting that the soft bags included in this collection will still always pack more than any hardhsell item; the 22-inch carry-on offers 50 liters of packing space (not expanded) and close to 70 liters when fully expanded – that’s enough space for a 5-7 day trip. All together the set provides close to 200 liters of total packing space (not expanded) with plenty of extra room for anything you might pick up on your trip. When overstuffed it can be hard to keep these bags under national and international imposed size and weight limits, so always keep that in mind while packing and know that its better to distribute belongings somewhat evenly between bags. Additional storage comes in the form of two stacked zippered pockets deep enough for extra outfits, books, and thin packages; interiors also provide two stretch shoe pockets, tie-down straps, a hanging zippered toiletry kit, and a mesh zippered pocket for further organization. Not many sets come with in-line skate wheels, however Olympia’s Hamburg set does and these wheels are easily stronger than 4-wheel spinners and can handle cobble stone streets just as easily as thick carpets. Other features include an extremely organizable interior with tie-straps, and three separate compartments for shoes, toiletries, and the like. 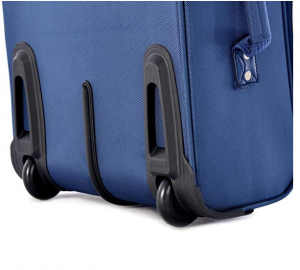 For rolling purposes the push button handle is made from sturdy aluminum, locks in place, and is designed to provide ergonomic support; however, is rather recessed and low, meaning some customers with shorter arm spans have had problems pulling these suitcases in the past. 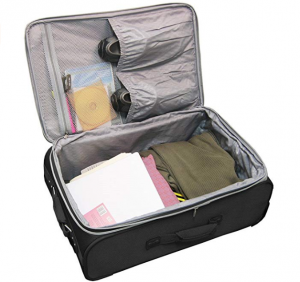 Further protection is added by a front panel on the face of the suitcase, padded with foam to protect packed valuables and further ensure the integrity of other items deeper in your bags. On the face and even side of each suitcase there are multiple zippered pockets which are highly convenient and built with sturdy zippers; these pockets allow extra storage space on top of the additional 25% you gain from expanding your bags. Olympia’s high-quality light materials allow them to create lightweight expanding bags which not only meet high industry standard, but also sometimes set them. The carry-on bag unpacked weighs a fraction of what a hardhsell carry-on would, saving you money at 7.5 pounds for up to 30 pounds of packing space for your flight. Likewise, the checked medium and large bags weigh in at 9.3 pounds and 11.0 pounds. For carrying purpose and easy retrieval when heavy, each bag includes top and side haul handles which assist you in removing heavy suitcases from a carousel, and a heavy carry-on from your overhead compartment. Additionally, each suitcase is specifically designed with a compact frame that helps evenly distribute the weight of your belongings so that you can wheel a heavy suitcase with little lag and no recoil. For lightweight travel suitcases the drawback is typically a reduced durability; the Hamburg collection is comprised of ballistic polyester with a denier rating of 1680. 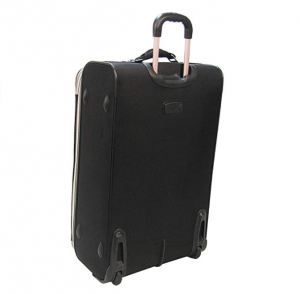 What this means is that the suitcase is less durable than soft bags which use cotton canvas or nylon materials, but more abrasion and tear resistant than lower quality polyester bags. The appeal and benefit of buying an Olympia softshell bag is clear however: you save money on all expenses. Suitcases with a higher durability are heavier and leave you less leeway before going over weight limits and incurring airline fees, additionally these suitcases are often more expensive. 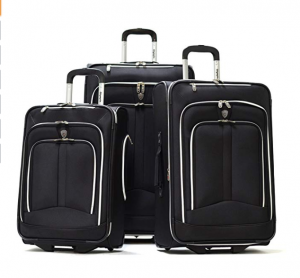 A Travelpro bag for example, like their Platinum Elite 25-inch Expandable Spinner, is made from high density nylon – this material may be more durable overall, but it’s also heavier, and one bag costs more than this entire Olympia Luggage set. Now that’s food for thought. Other durability features for the Hamburg collection include extra strong polypropylene in-line skate wheels, a telescopic handle made with machined aluminum, a front pocket with extra foam padding, and a high quality watertight inner lining. Olympia lightweight upright luggage is typically metrosexual for travelers of all genders and ages, and it can come in more friendly vacation colors as well as styles which are more formal and business appropriate. The look of the suitcases in the Hamburg collection are rather sporty with simple color options – black, brown, and navy – that include white zippering which make all facets of the bag stand out confidently. Another part of the look is the compact rectangular low-riding nature of the design, it’s simple and ergonomic, while also better distributing weight for those times when you use the expanders and get that typically somewhat awkward bulging suitcase shape. All haul handles are made from a thick webbing material that’s not necessarily fashionable but made specifically for easy hauling your bags in tight confines or from crowded luggage carousels. Sizes in the Hamburg set include two checked bags and one carry-on; additional personal items like totes and duffels or backpacks are not included with this collection, however Olympia does have a great selection of sporty backpacks. For this set, the large suitcase measures in at 28x18x9 inches making it the most ideal suitcase for extended trips (around 2 weeks); the medium bag measures in at 35x16x8, with the carry-on measuring 22x14x7. Together packing all three suitcases for you trip, and fully expanded, these softside bags offer an industry record when it comes to packing space: around 270 liters for very large travel extensions of up to 4 weeks and longer (depending on how you pack). Other brands just don’t offer this much size with their bags unless you opt in for 4-suitcase collections, and who wants to be wheeling around that many bags? Olympia achieves the same storage capacity with lighter bags for less money without the hassle of an additional checked suitcase. 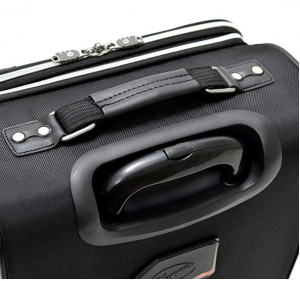 Olympia International, Inc. warrants each of its products’ materials and workmanship for a number of years dependent upon the specific product; for suitcases ask the distributor for more information. In the event of any defect or damage during shipping or while you’re traveling, as well as manufacturing defects, this warranty should cover replacements and repairs, although you’ll have to cover the shipping price to their repair facility. For a consultation, visit Olympias website and look under warranty for a phone number, email, and contact address; all replacement parts are provided at the discretion of Olympia International, Inc. and they may request a check or card payment for any high-expense parts and repairs. 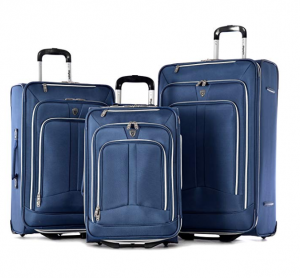 Olympia International make high quality luggage sets which include innovative designs that allow travelers to pack more with less bags and fewer expenses. Their Hamburg collection includes 3-Pieces of luggage with up to 25% more expandability (that’s 10% more than most expandable suitcases on the market currently offer). Each suitcase is also extremely lightweight and built with a design that evenly distributes the weight of your packed belongings; the only drawback being that each suitcase is made from ballistic polyester rather than cotton canvas or nylon. This does allow the bags to sell cheaper, and also beat those national and international weight limits, and for the most part each suitcase will buff most minor to medium scratches and tears. All in all, this suitcase is much more than its face value sporty look, it’s an investment which will pay off 10 times over. 25% more packing space with zippered expansion. 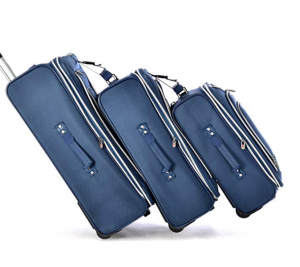 This set of 3 is more affordable than most nylon single suitcases. This collection offers an industry record packing space; around 270 liters. Made from 1680 D polyester and not cotton canvas or nylon. The telescopic handle has a limited extension length.